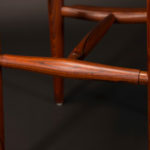 $995.00 (Includes all Materials) . $300.00 Deposit (Balance due 30 days before class) . 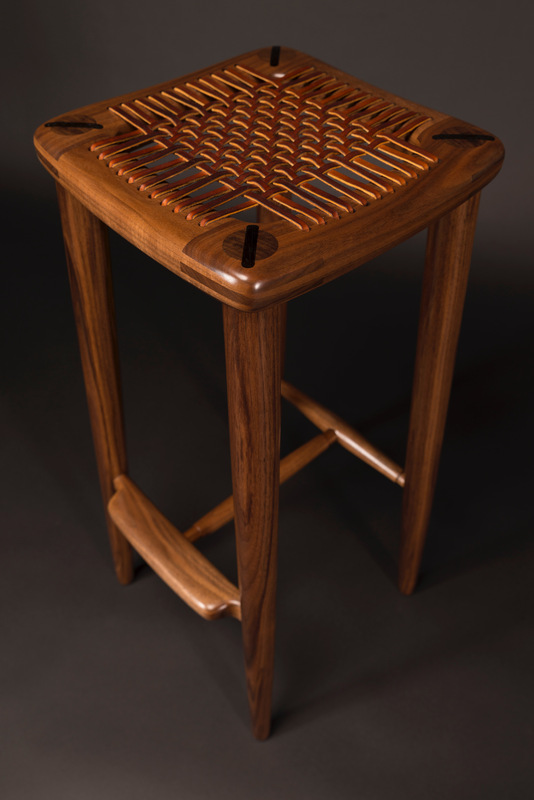 This Stool was designed by Sam Maloof in 1950’s. 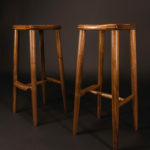 Sam could often be found sitting on a walnut leather laced stool, talking on the phone in his kitchen. 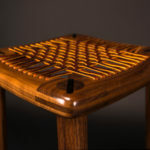 We made several of these stools over the years. 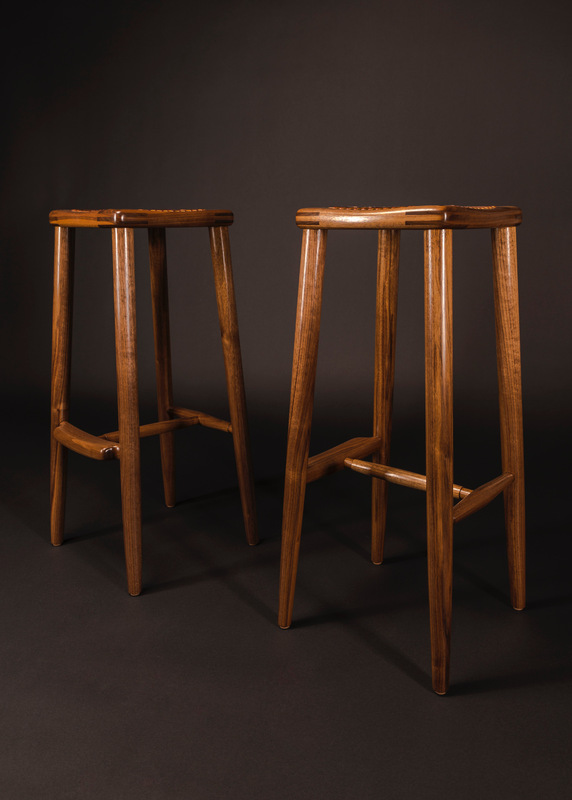 Now is your chance to create one of these historic iconic Sam Maloof inspired stools. You will be asked to turn 4 legs, and the support stretchers. The top frame is simply complex. 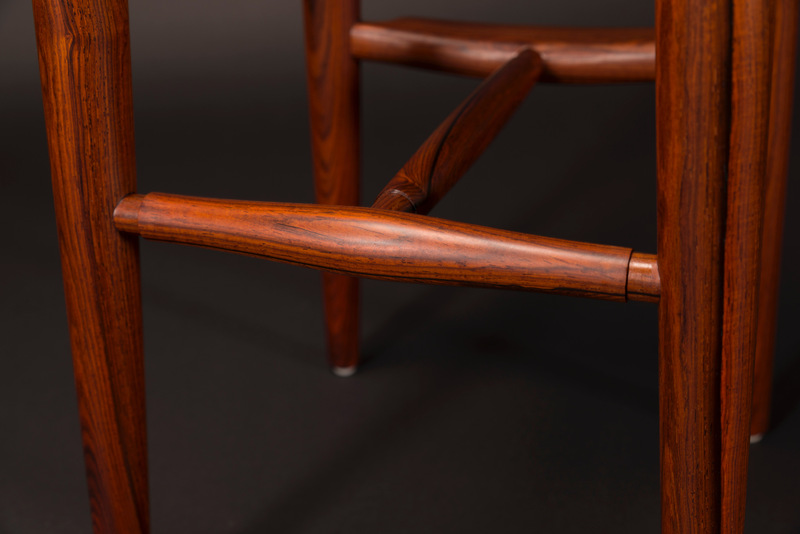 It requires 3 1/2 ” finger joints, angels on the mortises, splines, and leather weaving. Detailed shaping and finishing technics will be applied. 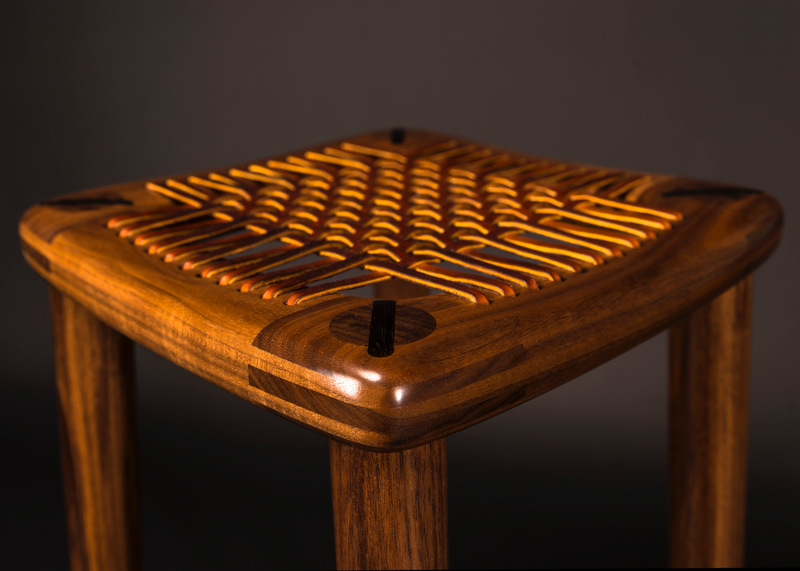 You will be creating an iconic mid century hand crafted Maloof inspired Stool.